Similar to how accessories like shoes and watches can leave lasting impressions, the best wallets for men can also act as fashion statements! While some might only use one as an organising tool for money and cards, today’s selection of wallets offers a whole lot more. 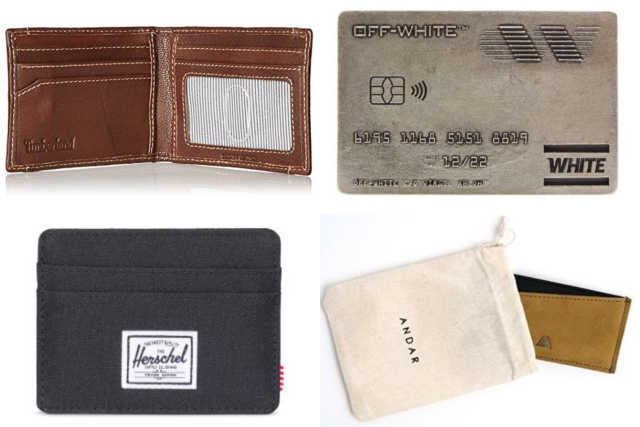 From quality, stylish options to minimalistic money clips, here are some of our preferred wallets for different types of guys! The Timberland Blix Flip Clip (available on lussocitta official store) does away with bill compartments and combines the space-saving properties of a money clip with the sleekness of a traditional leather wallet! Measuring at 10cm by 7.5cm, it’s one of the best leather wallets for men who prioritise durability and sophistication in their wallets. Featuring a compact design with six card slots, the Blix Flip Clip boasts the rugged style Timberland is renowned for. There’s even an additional money clip for easy handling of dollar bills and cards that you need quick access to! For what was initially a tongue-in-cheek stab at today’s fashion trends, Virgil Abloh’s high-end streetwear brand Off-White has developed a mass following. Off-White challenges the notion of what qualifies for the title of best wallets for men by releasing the Off-White Credit Card (available on Distrizone)! Fashioned entirely out of metal, the Credit Card money clip keeps things simple by stripping the design down to the bare minimum so you can easily access what you need. Moreover, the money clip has engravings that prominently feature Off-White’s branding so you can proudly show-off this unique fashion accessory! With almost a century’s worth of bag-making experience under its belt, Yoshida & Co. Ltd’s Porter Current money clip (available on ShopSgMart) is about as fancy as you can get when it comes to the best wallets for men. Made of premium cow steerhide leather and a serious dedication to manufacturing excellence, the company delivers a chic and stylish accessory that any buyer will be proud to own. Overall, the Porter Current money clip is an ideal wallet for young and experienced professionals alike that will fit nicely into any business jacket or coat. Expanding beyond its backpack range, Herschel Supply delivers an ultra slim polyester wallet that’s trendy and affordable! 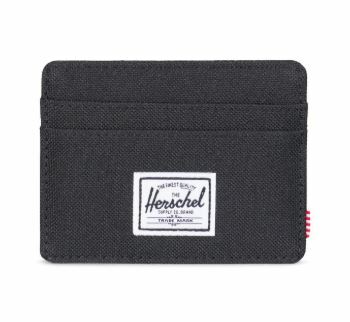 Sized at two-thirds the thickness of a traditional bi-fold wallet, the Herschel Charlie (available on Herschel Singapore Official) can certainly be considered one of the best wallets for men with such an attractive price point to boot. While the Charlie’s colourful top-access storage sleeve might look tiny, it can actually store everything from coins and bills to receipts and tickets. It’s also helpful that the Herschel Charlie possesses an RFID blocking layer. This protects your cards from skimmers who can easily steal card information with a wireless scanner. In today’s race to design the best wallets for men, many manufacturers have cut material costs by opting for faux leather or polyester instead of genuine leather. Thankfully, Tommy Hilfiger Ranger Passcase (available on Avenue Luxe) uses 100% cowhide leather and it definitely shows in the overall build of the wallet! 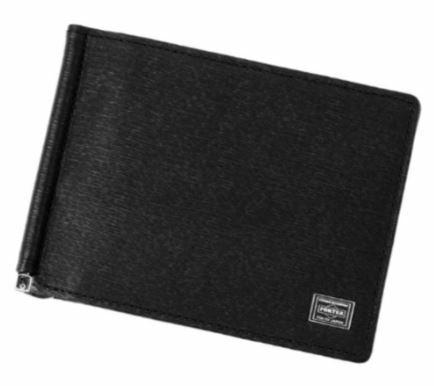 Featuring a pebble-grained strip with an embossed Hilfiger logo, the wallet also holds a removable pass case that’s great for storing IDs or EZ-Link cards. 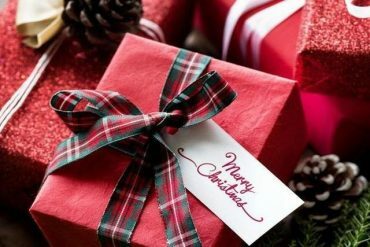 Additionally, the wallet is delivered in a red-stitched gift box, making it ideal for gifting. Who says the best wallets for men have to be traditional wallets with folds? If you want to ensure your pocket stays clutter-free, this is a wallet for you! 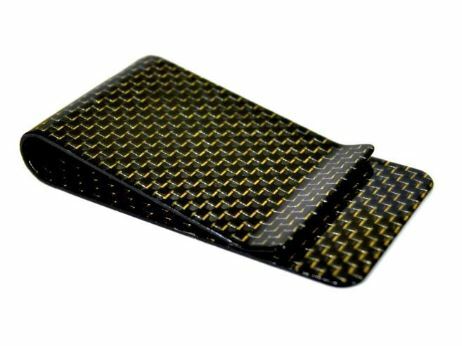 Made of 3000 carbon fibre filaments that have been interwoven and polished to achieve a glossy finish, the carbon fibre money clip (available on Halcyon Outdoors) elegantly and effortlessly stores your cash and cards without resulting in bulging pockets! Convenience is the name of the game here as carbon fibre is different from other money clip materials. You’ll slip through metal detectors and sometimes forget that the clip is even there because of its lightweight and non-metallic properties! Instead of relying on magnets, the carbon fibre money clip uses tension to hold your belongings together, keeping your cards safe from magnetic damage. Hate bulky wallets? Invest in a slim wallet! Slim, minimalist wallets are considered by one of the best wallets for men, having surged in popularity in recent years. The Andar Finn wallet (available on Valkyrie Trading) proves that big things can come in small packages as its slim profile hides the Finn’s incredible storage capacity. Straddling the line between minimalist money clips and traditional wallets, this wallet is woven from elastic, full grain leather. Effectively, the Andar Finn gains a classy and elegant aesthetic because of this. 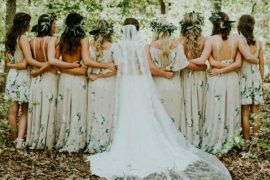 Consequently, this same elastic material is what allows it to store more than eight cards in its tiny pockets that you can access at any one time. Since The Finn’s material and design provides such a snug fit, you’ll never need to worry about it loosening up over time. With these best wallets for men, we hope you find one that fits your daily needs, regardless of whether you’re in casual or professional situations! For more wallet options, why not browse our full range of men’s wallets. For all things related to male fashion, make sure to check out our categories for men’s wear and men’s watches too! Looking to get onto the sneaker hype but not sure what’s trending? Read our guide to the best casual shoes for men! Also, if you’re thinking of revamping your fashion style, refer to the styling tips and recommendations in our guide to men’s fashion styles in Singapore!.